While mixing the sound for an episode of the second season of Twin Peaks, Lynch was hit with a sudden inspiration. "It just came into my head, the idea of people trying to do something successful and having it all go wrong. "1 Following the initial success of Twin Peaks, David Lynch and Mark Frost were hot properties in Television. 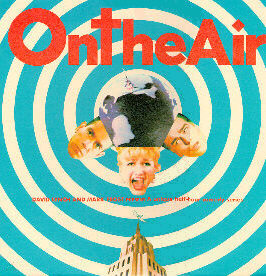 When they approached ABC with the idea for "On the Air," the network was eager to take them up on the offer. The show itself was a half-hour absurdist comedy featuring many of the cast and crew from Twin Peaks. The pilot tested very well, and six more episodes were ordered. However, by the time it came to scheduling the On the Air, things with Twin Peaks had already fallen apart, and the network was no longer eager to work with Lynch. "During that time everything was going belly up with Twin Peaks, and there wasn't any support from ABC for this show at all. They really hated it. "2 The series' broadcast was delayed and finally run during the summer, a time when most networks know people are away from their television sets, thus they dump undesirable shows then. Lynch knew the timeslot meant certain death for the show at the hands of the network. "I've heard that summertime is pretty much the worst time you can be on, but we're going on in summer. I've heard that Saturday night is the worst night of the week to be on, and we're going on Saturday night. "3 As expected, the show received poor ratings, and only three of the seven episodes were aired by ABC before they gave it the axe (all seven episodes were aired overseas however).